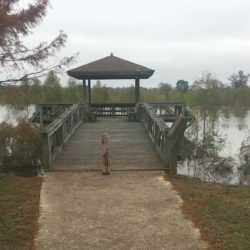 The more I learn about the history of Arkansas, the more I’m amazed that you don’t have to travel far to find places touched by historic people and events. Perhaps even more amazing is that much of the history remains intact; you can see with your own eyes and touch for yourself what the early settlers saw and interacted with. 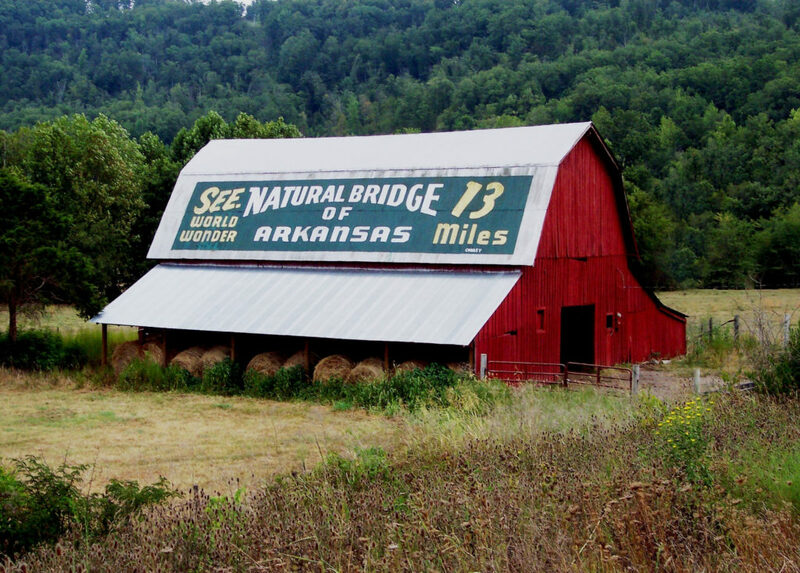 One such place is the Natural Bridge of Arkansas, located in Clinton. 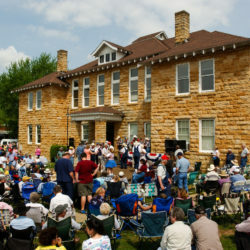 The Ozark region is full of cities and towns with a rich culture and heritage. The city of Clinton is no exception. 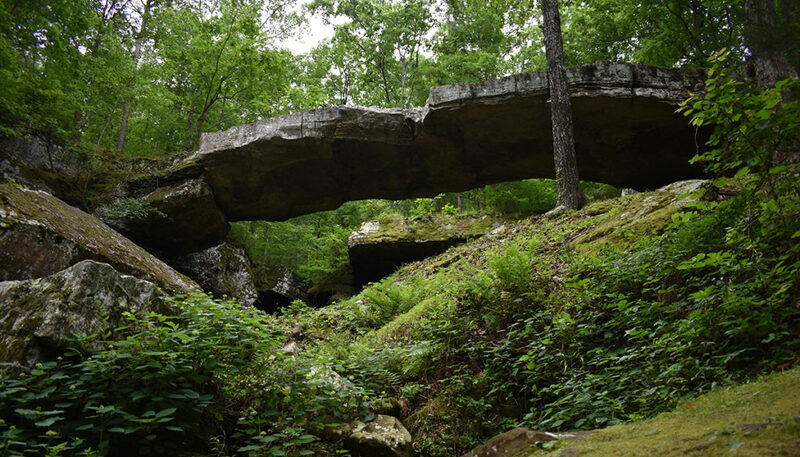 Located four miles north of Clinton, the Natural Bridge has, for several decades, attracted many visitors and lovers of nature. But long before it became a tourist destination, the Natural Bridge was home to a variety of people. 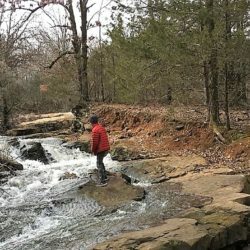 It’s said the Quapaw Indians once called the area home and early pioneers used the stone bridge to cross Little Johnny Creek. It’s also believed that one notable temporary resident was Belle Starr, a notorious female outlaw who had associations with other popular outlaws such as Jesse James. Later, the late 1880s through early 1900s were exciting times for loggers in Northern Arkansas. 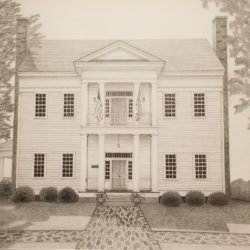 In the years following the Civil War, the timber industry exploded throughout the state. It became a lucrative business thanks to the expansion of the M&NA Railroad, which brought locomotives, people, and access to the modern world. 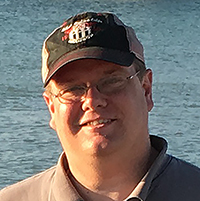 Nearby towns like Shirley and St. Joe came into existence because of the railroad. 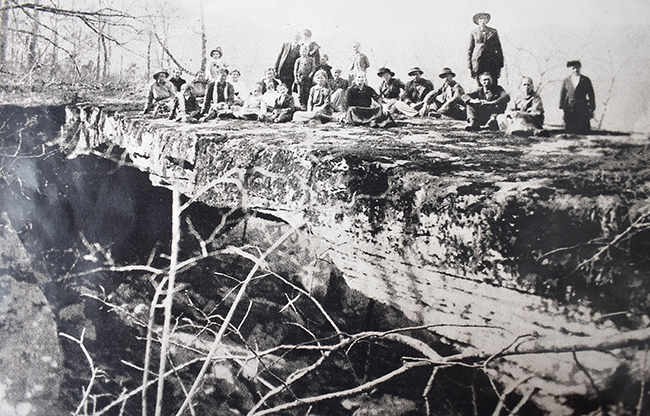 Loggers would come to use the Natural Bridge to haul logs across the steep and treacherous terrain. Thankfully, for thousands of years, this ancient bridge has endured whatever stresses nature or man have inflicted upon it. Although it has been located on private property since 1970, this 3-million-year-old stone bridge has been open to the public. For a few dollars, you can see the Natural Bridge in all its 120-foot majestic splendor. It truly is a sight to behold; words and pictures don’t come close to how truly spectacular this natural wonder is. 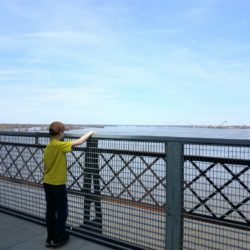 For safety reasons, no one is allowed to actually walk on the bridge, but you can get fairly close for some great photos. In addition to the bridge, there are plenty of stunning rock formations, a bluff shelter, a nice seating area to bring a packed lunch (yes, they have restrooms! ), and two century-old cabins to explore. 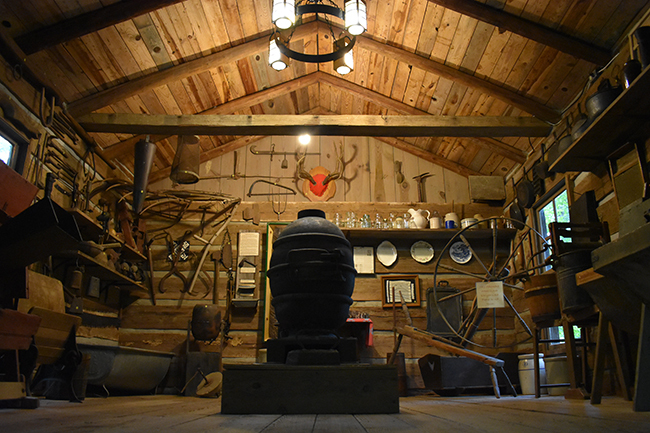 One cabin is used for the main entrance and gift shop, and the other is filled with authentic period artifacts. 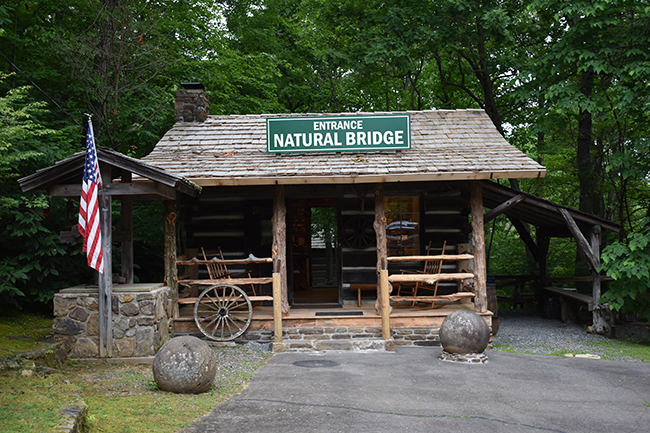 The Natural Bridge is open daily, 8:00 a.m. to 6:00 p.m., March through November. For more information, visit the Clinton Chamber website.